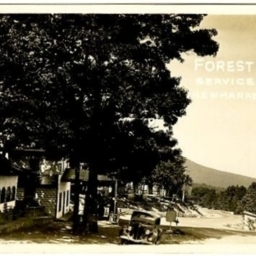 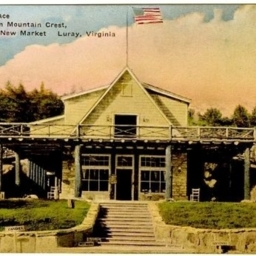 Postcard showing the Forest Camp and Service Station located on the mountain in the New Market Gap near New Market Virginia. 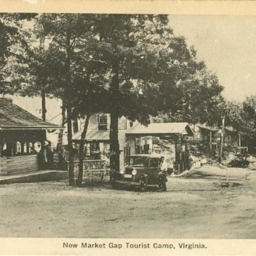 Postcard showing the tourist camp located at the New Market Gap in Shenandoah County Virginia. 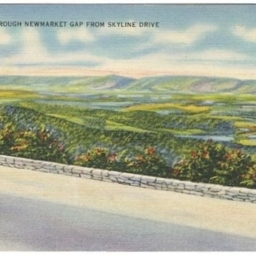 Postcard showing the Lee Highway in the area of New Market Gap. 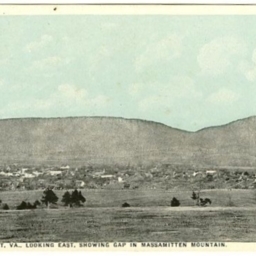 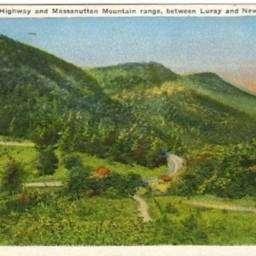 Postcard showing a view of the Lee Highway and Massanutten Mountain range from the area of the New Market Gao. 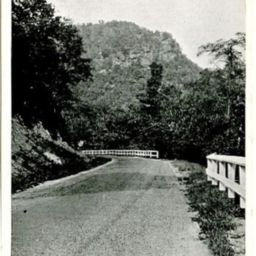 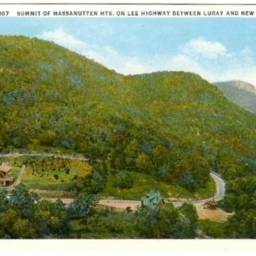 Postcard showing the summit of the Lee Highways as it Massanutten Mountains at New Market Gap. 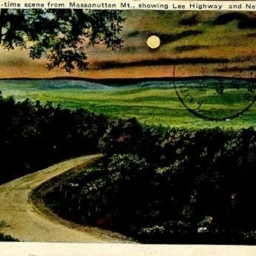 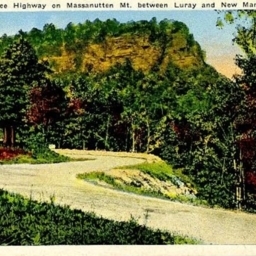 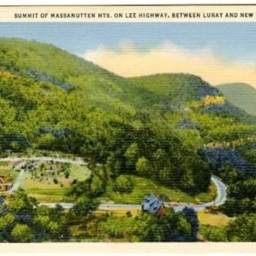 Postcard showing the Lee Highway as it crosses the summit of the Massanutten Mountains at the New Market Gap. 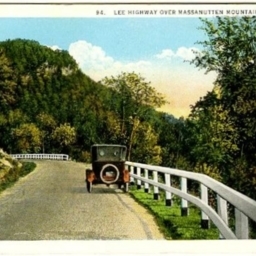 Postcard showing "Kauffman's Place" located on the Lee Highway at the crest of the Massanutten Mountain between New Market and Luray Virginia. 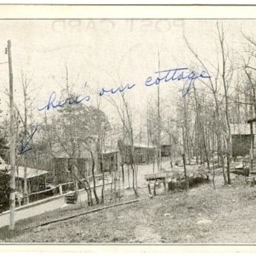 Postcard showing cottages at Shirley's Tourist Camp located a top the Massanutten Mountain and the New Market Gap. 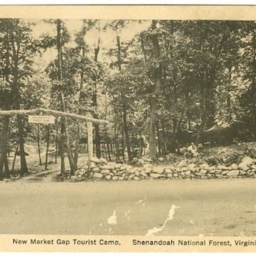 Postcard showing the New Market Gap Tourist Camp located in what was the Shenandoah National Forest, now the George Washington National Forest. 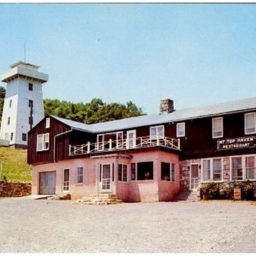 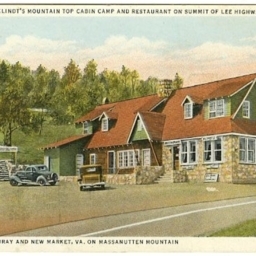 Postcard showing the Klindt's Mountain Top Cabin Camp and Retaurant located at the summit of Lee Highway on Massanutten Mountain between Luray and New Market Virginia. 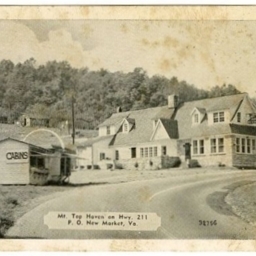 Postcard showing a view of New Market Virginia from the west. 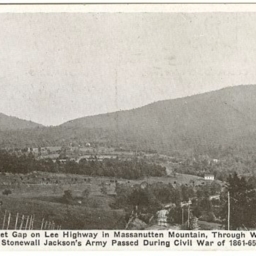 It includes the New Market Gap in the Massanutten Mountain. 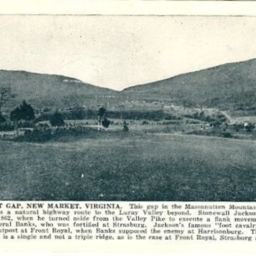 Postcard showing the New Market Gap located east of New Market Virginia. 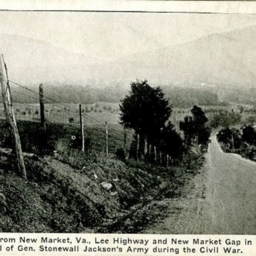 Includes a description of the mountain and its Civil War history. 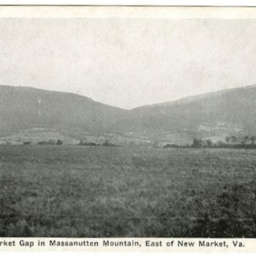 New Market Gap in Massanutten Mountain, East of New Market, Va.
Postcard showing a view of the New Market Gap in the Massanutten Mountain near New Market Virginia.